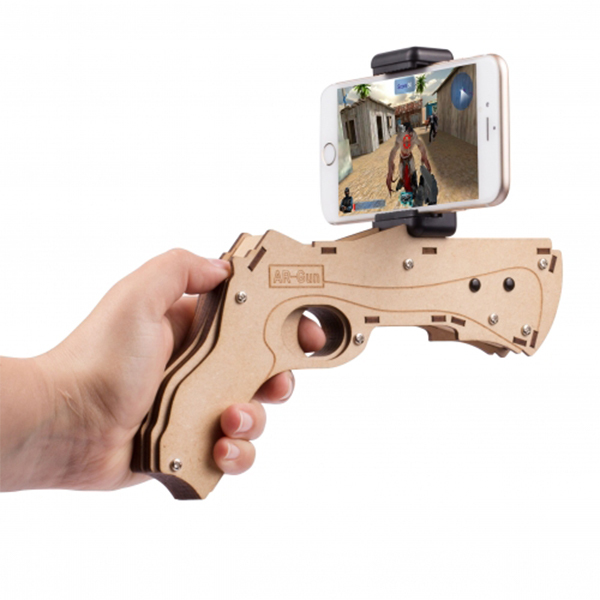 The Thumbs Up USA: AR Blaster is made out of some kind of cardboard material, but it’s sturdy, looks nice and works great! A lot of fun – even for me! This Augmented Reality (not virtual) gadget for your smartphone is a cool toy. You power it via AA-batteries and use the app made for this device. There are some cool games – mostly shooters (because it’s an AR Blaster/Gun) – but it’s nothing too fancy. Off course this is still a toy and something to get you going in the world of Augmented Reality. It’s simple really: you move around with the gun, you move around on the screen. You pull the trigger on the gun, you shoot in the game. 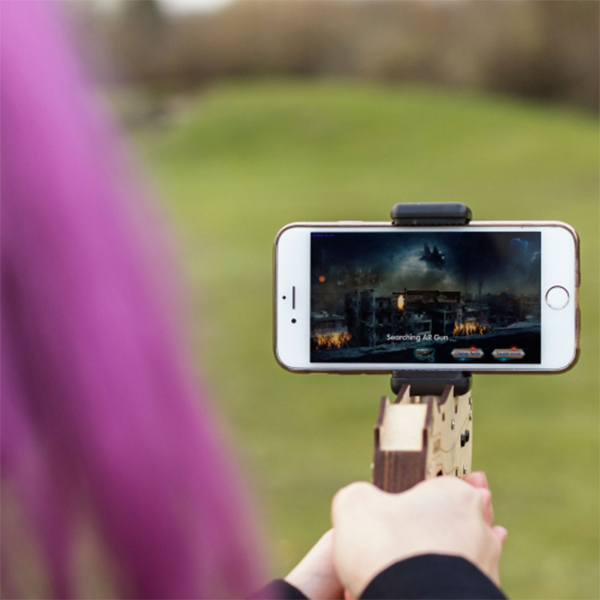 It’s very responsive and actually a lot of fun shooting zombies. Sometimes scary as well, so be aware! You can find the AR Blaster here.